Student Journals "Brooklyn's Eighteenth-Century Lott House"
Kirsten (2001): Archaeology had always been Indiana Jones to me. Not any longer! The knowledge of history and depth of perspective that I have gained working on the Lott House has expanded my vision of archaeology, and it is fantastic. First and foremost I must say that the work itself is pretty much what I expected: hard work combined with a sense of camaraderie found only in working in close quarters with other people. What I did not expect, in learning about archaeology, is the exact precision involved. In my mind I've always known it to be a science, but in putting it to practice, it amazed me how much of a science it is. Working on the Lott House in particular has enabled me to see Brooklyn in a completely different light. I am able to look across the property and image the expanse of land that was once there. I can image the lives of Hendrick Lott right down to the last living Lott, Ella. Thus far it has been a very enriching experience. I image as the excavations and learning continues the "dig" will become even more rewarding. Jeannette (2001): After a long day of creating a trench, removing vines and weeds, and shoveling dirt from one place to another, what do you have? A big hole. For most people, a job like that may seem strange, but for an archaeologist, it is always a mini-adventure, never knowing what kind of spectacular information will be uncovered from an excavation. The Brooklyn College Summer Archaeological Field School taught me how to begin the process of uncovering and recovering the past. It has provided me with the tools for an archaeological expedition that I will be able to use anywhere in the world. It stresses the importance of taking exact measurements and detailed notes to acquire vital information that will enable me to piece together a distant past. Brooklyn College has also taught me how to pay careful attention to even the tiniest of artifacts because each object forms a piece of a giant jigsaw puzzle. It will eventually reveal a story of what the environment was like, who lived here, how they lived, and how the Earth has changed since then. I am grateful for the opportunity to experience a course like this. 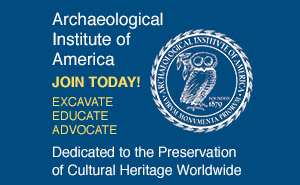 It is necessary for my career in archaeology and a key part for my growth of knowledge in the field. Maggie (2001): The first two days of field school were grueling. It was bad enough that Professor Bankoff made us sit in class from 9am to 5pm listening to lectures. But nothing could ever compare to the second day of field school. Professor Bankoff decided to have some fun with his anxious new students. He implemented his infamous torture device--the swamp trip! It was the swamp trip that convinced me I had signed up for three weeks of slave labor. At Spring Creek in Queens (New York) my classmates and I became acquainted with ticks, mud, and garbage. It was no wonder the field-school supervisors, Chris and Alyssa, bailed that day. (Field Supervisor's reaction to this last part...we did not "bail" out of the swamp walk...each of us had other assignments that day! We've both participated in every swamp walk that Dr. Bankoff has conducted since the mid 1990s. So ha!!!!) By the end of the swamp trip, five girls whom were practically strangers got to know each other pretty well. Well, getting lost in a car in East New York for two hours would do that to you--not to mention the mud and ticks that were everywhere in Susan's car. On the third day my trench mates and I feared the worst. But we met up with no mud, no ticks: just mosquitoes, worms, and humidity. The digging wasn't too bad and the atmosphere was kind of cozy. The worst was over. I won't lie though; digging is hard work especially when you're only break during a 9am to 5pm day is lunch. (Field Supervisor's note...hey...don't make us out to be slave drivers...it is an hour lunch break after all!) And how sweet lunchtime is. After digging for three hours I savor a homemade lunch on the shady south porch of the Lott House. For a short time my classmates and I forget about our unit and the backup of buckets filled with dirt that needs to be sifted. If only for just a short while, we're free. After savoring the last morsel of food, we return to our trenches. And the truth is, I love it. I love the smell and fell of dirt all over my hands, clothes and hair. I love the excitement that comes with the possibility of finding some significant artifact. I love the excitement generated by all the media attention the Lott House Project has been getting. I feel apart of something larger than my trench. I feel like an archaeologist. Marcia Devoe (2000): "This morning we dug unit 9 of N42W27.5 to the next soil, and now will tidy up and map stratigraphy, then break new two-by-two unit at S40W25.5." I'm leafing through my field notes. "...modified center elevation = 1.56 m.? datum point .51 m." Two weeks ago I would have known what any of this meant only in the vaguest textbook sense. But now, halfway through Brooklyn College's summer archaeology field school at the Hendrick I. Lott House, I palpably appreciate a language of coordinates, theodolites, context, elevation, stratigraphy--all the rudiments of any and every dig. 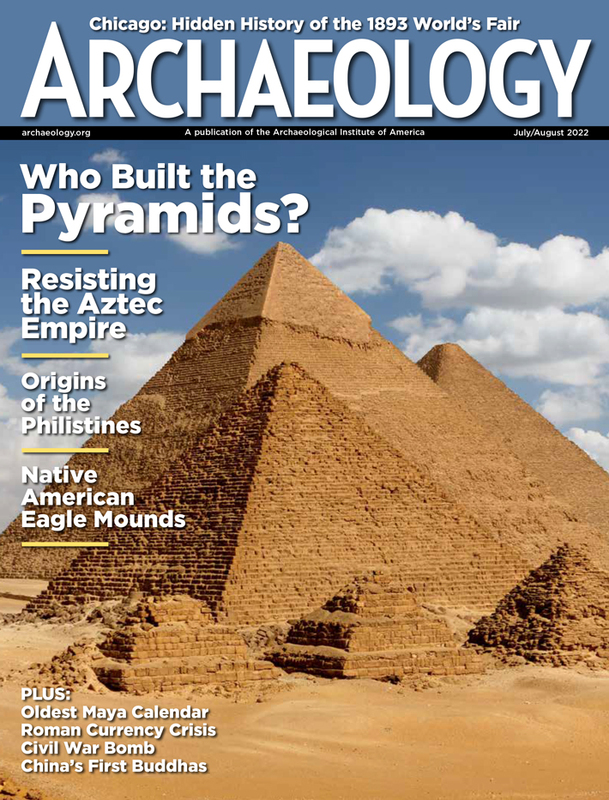 Furthermore, eavesdropping on discussion between the camp directors (Dr. Arthur Bankoff, Alyssa Loorya, and Chris Ricciardi) opens a window to the higher-level theorizing and debate that is ultimately the heart of, and reason for, archaeology. These able archaeologists encourage students to intuit and discuss our own ideas about what we encounter in our trench. As someone preparing for a Ph.D. in classical archaeology, I must confess to having been a little unenthused about excavating an historic Dutch farmhouse situated in the placid Marine Park section of Brooklyn. It has become increasingly clear, however, that the methodology of historical archaeology to which I am being exposed is most beneficial to my personal studies. This approach--which, in the case of the Lott House, emphasizes the more modern investigation of the cultural impact made by the spread of European powers into the New World--utilizes written records and historical documents to augment and enhance the archaeological procedure. So, even though my philological bent is towards an ancient Greek and Latin corpus of texts, I will be able to expropriate the basic modes of this particular brand of investigation to further elucidate my own specific interests. Perhaps what I learned most importantly at field school has been that I do want to be an archaeologist. This profession, which is steeped in the popular romanticism of exotic locales and spectacular finds, is, in reality, damn dirty work. Weeks of hauling buckets and swinging a pick or shovel for consecutive hours under the hot sun is either in one's constitution or not. Now compound this sweaty labor with constant, close proximity to diverse trenchmates. Every participant is forced to figure out fast how to work as a team, how to both give and take direction light-heartedly, and, hopefully, how to have a good time while doing serious work. For whatever reason, I love it, and the Archaeology Department at Brooklyn College has provided me this invaluable opportunity to find that out. Lilly Santoro (2000): Here I am at the end of my first week of field school at Brooklyn College, and I'd have to say it has pretty much lived up my expectations. I pretty much pictured myself digging in the dirt from nine to five each day. That's pretty accurate, except there is actually a bit more to it. I didn't realize how exact the digging part is. Our trenches have to be exactly two meters by two meters, and have to be lined up correctly. Nor did I realize how much recording is involved. Everything gets entered into my notebook. I guess this is in case we forget to write something on our unit sheet. For each unit we take elevations, draw maps, write what we found sifting and digging, and then write it again on the unit sheet. And yet, I'd say that archaeology is pretty imprecise. At first I was worried that we'd break some artifact as we dug away with our shovels (not to mention the pick), but Sarah (one of my teammates and daughter of Dr. Bankoff), explained that it's okay to have pieces of things. Besides, I've noticed that artifacts do not usually come up intact, and the ones that do had to be pretty durable to last this long. The week started out with the whole field school (about 20 students) meeting in an un-airconditioned room all day. We got a very brief intro to the methods and techniques of historical archaeology, a slide show and history of New York City (especially Brooklyn), and a tour of the lab (with and introduction to the different kinds of pottery we might find). When we got to the site, we broke into teams of four or five and got assigned our trenches (which we had to measure and dig using the information that we learned the first day and promptly forgot). Even though my group made all the mistakes possible in laying out our trench, we still managed to dig our first trench right next to the Lott House foundation. Unfortunately, our first trench was not meant to be, as we hit the bathroom pipe the next day, but not before we found three pairs of scissors, a doll's eye, tons of glass and nails, and some pottery. Thus, we were forced to fill that one in and start anew on the other side of the house. Our new trench is working out pretty well (at least our first unit is), as we have already uncovered a brick path, probably from a former garden. Briane (1999): I know that "finding stuff" isn't what archaeology is all about, but after digging for nearly a week in a small one-by-two-meter trench and not finding any artifacts older than 1970, I was beginning to feel a little frustrated and discouraged. Along with the graduate students supervising the project, I had really hoped that one of the two sessions this summer would excavate either the privy or the well. By the beginning of the third week of the last session, the better part of the north yard had been excavated, the west field had been excavated in June, the east yard was excavated the previous year. It simply didn't make sense that the Lotts would have dug a privy directly in front of the south porch since company approached the house from that direction. Why hadn't we found it yet? Wednesday morning, the last planned full day of digging in July, Melinda and I cleared out the last meter-and-a-half of dirt, leveling our small extension with the two one-by-twos dug earlier in the session. Just after lunch on Wednesday, Sara and Sarah, the other half of our team, were cleaning up this new floor when they exposed several bottles, many of them whole; porcelain chamber pots; glass lamp chimneys--more intact artifacts than I had seen on this project. Once the walls had been cleaned, we noticed a vertical piece of wood running through the north wall, with gray sand immediately to the west. Given the presence of these artifacts, the consistency of the soil we were digging in, and the location of the wood, it was determined that we had indeed found the privy; the wood had once formed part of a wall and the gray sand was leech sand which would have surrounded the base of the structure. Thursday we worked in teams of two to excavate the visible artifacts and prepare them for the trip to the lab. In August, we may be back to trace the privy to the bottom. Artifacts were still poking up through the floor after we had removed the large deposit in the top layer. The most interesting part of all, for me anyway, will be to work with these pieces in the lab this fall, reassembling them and learning more about the Lotts and how they lived, the size of the family, what their diet consisted of, what illnesses the contents of the many medicine bottles were used to treat. Sarah (1999): I got to be one of the lucky people that spent their summer digging in someone else's toilet! It's not everyone who can say that! No, seriously, this was one of the more exciting moments in my long history of archaeological digs. I was innocently digging along when I hit something that we thought could possibly be a floor. So I got all excited of course. But...it turned out to be something even better...the privy! I have to admit, the idea of actually digging in someone's toilet, 150 years old or not, is kinda icky, but the stuff we were getting out of there made it worth it. We were getting some nice stuff! I mean, I know that even if you don't find so many artifacts it's helpful, but it's so much more fun to find stuff! All in all, discounting the grossness of digging in what you know is human excrement, it was really, really, really cool. Alex Novikoff (1999): Things are different digging in Brooklyn! Unsure of what to expect from this three-week field school, I have so far found the dig to be enjoyable, fun, and interesting. One thing I did expect was a contrast to my experience last summer digging for six weeks on an early Upper Palaeolithic site in southwestern France. To be frank, I was shocked when I was told that we would be working in trenches 2m x 2m, I was used to working in square 50cm x 50cm (on my own) crouched down on wooden boards that ran across the site preventing us from touching the actual site itself and with one digger to either side of me. I was also used to digging with a pointed chopstick and cleaning the loose soil with a small brush. Here at the Lott house things are a little different. Working with pickaxes and shovels takes a little getting used to, but these differences reflect the different goals of each project. In France we were looking for flint pieces and ivory beads often no more than 6mm in width, and digging was a slower and far more painstaking process. Here the artifacts that are being recovered are larger, which makes digging and sieving go much quicker. Nevertheless, while the techniques are different the archaeological method and theory remain more or less the same. The field division into squares, the mapping, the coordinates, and the taking of elevations are all familiar to me, and it's fun seeing them apply in a historical (rather than prehistoric) context.